TIME recently reported "American workers spend an average of 28 hours a month researching personal financial issues. This lost productivity across an organization can be translated into real dollars - as much as $5,000 per employee per year." Acquaint Financial specializes in independent and unbiased financial education, planning, literacy, and counseling services for employees and pension plan members across Canada. You've already invested in your existing group retirement and benefits plans. Now choose Acquaint Financial to ensure your employees use these plans to their maximum benefit and understand their true value. This will help improve company morale and increase productivity while showing your employees that you value them and their financial well-being. We do not sell financial products of any kind nor do we profit from the sale of such products. Our sole business is providing fee for service financial education, planning & counseling services and solutions for your employees and pension plan members. 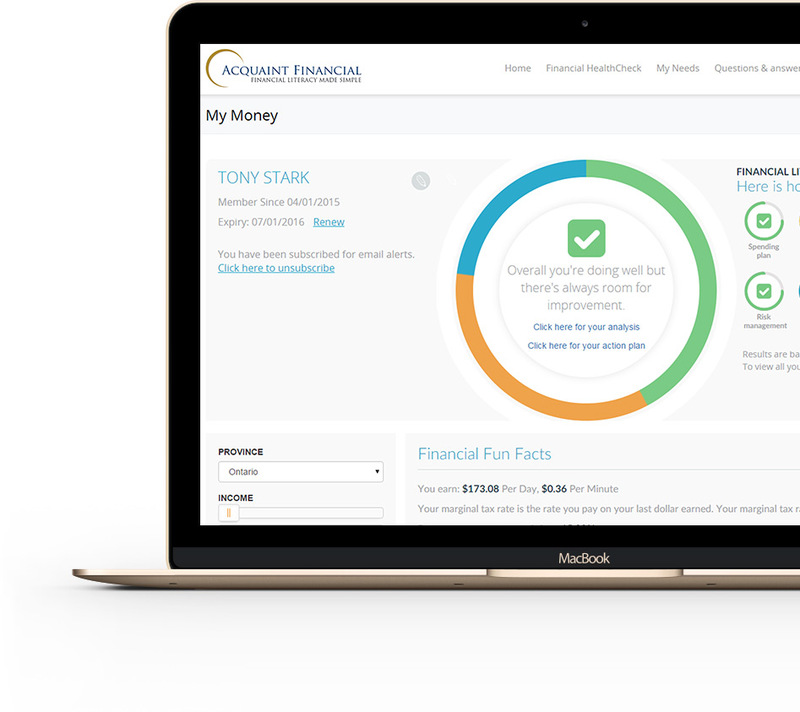 Our goal is simple: to help your employees make confident & informed financial decisions to achieve their financial goals.